98' PEEP! PEEP! PEEP! East Bengal have won the match but lost the title. It has finished 2-1 here but it has finished Chennai City FC 3-1 Minerva Punjab at Coimbatore. East Bengal have waited 14 long years and they might have to wait for one more year. Till then, here is Abhishek Kundu saying bye-bye. Do login to Sportskeeda to get the latest Indian Football, I-League, and ISL updates. UPDATE: Chennai City FC have made it 3-1 against Minerva Punjab. And, it is Gaurav Bora again. Now, it looks like it is all but over for East Bengal. Gaurav Bora strikes again! And Chennai City can erupt. Sandro plays it behind Manzi and Bora rushes in and nods home. Goalkeeper Nidhin Lal stood no chance! 95' 1 Minute left but Chennai City FC doesn't seem to lose the plot there. East Bengal might have won the game but Chennai City FC are going home with the title. 94' It is now catching practice for Rakshit Dagar here at Kozhikode. East Bengal fans need to pray for Minerva Punjab to draw the match. 94' East Bengal are running down the clock and playing back passes in the attacking third. 93' Chullova clears the danger after Arjun Jayaraj fails to take his shot on time. 90+2' Bali Gagandeep keeps the ball in play but Daniel Addo clears the danger. 90' 6 Minutes added on as Marcus Joseph Jr. shakes the hands of Rakshit Dagar. 88' Ugly scenes here at Kozhikode. Marcus Joseph Jr. with a nasty punt on Rakshit Dagar and his face has turned crimson red. He was going for the ball but East Bengal players have surrounded him. The referee dishes a yellow card for him. Rakshit is being treated and he is band-aided here. 87' Meanwhile, Gokulam FC have made a change. 85' GOAAAAAALLLLLL! Danmawia makes it 2-1 for East Bengal finally after missing a plethora of chances. Jaime Santos Colado with a brilliant heading pass to him from inside the box. But, his first time header is saved. However, in the rebound he extends his leg to make the ball cross the line. It is 2-1 for East Bengal but Chennai City FC are still leading in the other game. 84' SHOT! A brilliant cross by Toni Dovale and Danmawia rises the highest. But, his shot his inches wide. 82' CHANCE! And, now it is Rakshit Dagar who comes out of his line. That was a peach of a long ball towards Marcus Joseph Jr and if it wasn't for him, it could have been 2-1 in favor of Gokulam. 81' CHANCE! Arnab Das Sharma comes out of his line to clear away the danger. Otherwise, Bali Gagandeep would have made it 2-1. 79' GOAAAAAAAALLLLLLLLL! Jaime Santos puts it in. Arnab Das Sharma guesses right, but there was too much power. It is 1-1 here at Kozhikode. 78' PENALTY AWARDED TO EAST BENGAL! The referee thinks Arnab Das Sharma has commited a foul who clatters on to Bali Gagandeep. 76' East Bengal are throwing the kitchen sink. 74' PENALTY DENIED? Andre Ettiene with a crunching tackle on Brandon but the referee tells get up. The replays show that he had won the ball. UPDATE: Chennai City FC have made it 2-1 there at Coimbatore. And, as it stands, East Bengal's victory will be immaterial even if they give one. And, it is Gaurav Bora who has scored. GOOOOOOOOOOOOOAAAAAAAAAAAAAAALLLLLL! BORA SCORES! Will that seal the deal for Chennai? Corner played in neatly by Sandro and it skips past Kaplan. Bora comes running in, taking his marker by surprise, and fires it in to score what could potentially be the goal that will win Chennai City the title! How have things turned here! 72' SAVE! Man, that could have been easily 2-0. Bijesh is one-on-one inside the six yards out but Rakhsit Dagar dives and collects the ball from his foot. 70' GOAL! Oh No, Marcus Joseph Jr. has scored for Gokulam FC. The Caribean calypso turns after latching on to Arjun Jayaraj's pass and unleashes a grounder to make it 1-0. Twenty minutes separate Chennai City FC and the title now. East Bengal needs to score two goals now. 68' CHANCE! Lalrindika Ralte with a brilliant pass to find Esqueda but the Mexican fails to judge the bounce of the ball. If he had connected it, it would have been 1-0 in favor of East Bengal. 67' SHOT! Emmanuel loses the ball to Chullova in the midfield who takes a shot from just outside the box. But, his piledriver loses the speed in the air and comfortably collected by the goalkeeper. 66' OFFSIDE! Esqueda chips the ball for Laldanmawia who had acres of space in front of him but the flag is raised. 65' Gokulam FC makes their first change. 63' SHOT! Danmawia manages to time his run and takes a shot from the left wing but it is marginally over the bar. That should have atleast hit the target. 62' CROSSBAR! Lalrindika Ralte with a peach of the left foot from just outside the box but it clatters the sidebar. That could have been easily 1-0. 61' SHOT! Enrique Esqueda with a brilliant shot but Daniel Addo blocks it. On the counter, Marcus Joseph is flagged offside. UPDATE: It is 1-1 in Chennai City FC vs. Minerva Punjab game as Pedro Manzi has equalized through a penalty. Bad news for East Bengal fans. That's the equaliser! And Pedro Manzi salutes! Chennai City are back! A confident penalty with Pedro running in and slotting it into the bottom-left corner. Nidhin Lal dives the wrong way. 58' SHOT! Again, Marcus Joseph takes a shot and again, it goes over the bar. He is putting in the power perfectly but his accuracy has let him down. 57' SHOT! Laldanmawia Ralte takes a shot from just outside the box after going past two men but his shot clatters through Jaime Santos' feet before rolling in towards Arnab Das Sharma. 55' CHANCE! Jaime Santos this time releases Brandon on the left flank but no one is there to nod in his cross. Surely, East Bengal are missing Jobby Justin here who is prolific with his headers. 52' Inches over! Lalrindika Ralte's curling free-kick from just outside the box sails over. Gokulam FC and Chennai City FC should be relieved as it is still 0-0. 51' FOUL! Monotosh gets a yellow card for bringing down Samad Ali Mallick just outside the box. 50' OFFSIDE! Esqueda slips through the Gokulam FC defense after latching on to Jaime Santos' pass and misses his first time shot. He would be relieved to know that it was offside! 48' SHOT! Imran Khan with a lovely ball to Joseph and his shot from the edge of the box is inches over. That could have been easily 1-0 there. 46' And, East Bengal have made a substitution in the half-time! 46' Welcome back as the second half kicks off. It is Gokulam Kerala FC who has had the upper hand but thanks to Rakshit Dagar's heroics it is all square still. Jaime Santos, Enrique Esqueda, and Kassim Aidara are doing their job perfectly in the midfield and attack but Laldanmawia Ralte and Brandon have let them down. Marcus Joseph Jr, on the other hand, is on a steamroll and Jhonny Acosta is finding it tough to mark him. East Bengal's best chance of scoring a goal might be from Lalrindika Ralte's set-piece! As it stands, Chennai City FC will win the I-League on head-to-head record and both the teams will finish the competition with 40 points on their bag. Meanwhile, do check out the Chennai City FC vs. Minerva Punjab match center to know how things panned out. It has finished 1-0 at the halftime there. 45+1' Halftime whistle blows here at Kozhikode. And, it is still 0-0. It is Chennai City FC 0-1 Minerva Punjab at Coimbatore and East Bengal needs just a goal to win the I-League if the scoreline at the other game ends the way it is right now. 45+1' Jaime Santos' pass towards Chullova is wayward as the ball goes out of play. 45' 1 Minute added on here at Kozhikode. 44' SHOT! Daniel Addo rises the highest to nod in Marcus Joseph Jr.'s corner-kick. But, it is agonizingly over the bar. 43' CORNER! Gokulam FC have a corner after Emmanuel sets Lalmuankima through on the wings. But, Jhonny is sturdy as a rock to ensure the cross doesn't reach the penalty box. 41' SHOT! Lalrindika Ralte with a brilliant corner but Jaime Santos leaves it for Kasim Aidara. His shot touches the defender for another corner-kick. And, now we have another corner. But, it is Jaime Santos who takes it this time. And, his cross balloons over everyone safely into the hands of Arnab Das Sharma. 39' SAVE! Was that Rakshit Dagar or Spiderman? Imran Khan chips it above the East Bengal defense and Marcus Joseph Jr. takes a shot. But, Rakshit Dagar dives in the air to punch it away for clearance. That is the best save in the I-League so far. 38' FOUL! Didika brings down Lalmuamkima and Gokulam FC have a free-kick in dangerous position. But, the shot is wayward! 36' CHANCE! Jaime Santos releases Brandon on the wing but his shot is straight to the goalkeeper. Moreover, there was no East Bengal player in the box to head it in. 34' FOUL! Fabien Vorbe brings down Laldanmawia Ralte from behind in the attacking third. But, the free-kick comes to nothing. 31' SAVE! Lalmuankima with a shot from just outside the box but it is catching practice for Rakshit Dagar. 29' CHANCE! Esqueda sends Chullova through on the overlap but his grounding pass is feeble and collected by Arnab Das Sharma. 28' CHANCE! Miscommunication between Jhonny Acosta and Rakshit Dagar results in Marcus Joseph Jr. taking a shot. However, he misbalances himself and the shot is wide. 26' Jaime Santos with a delicious ball to Laldanmawia Ralte but his cross is extremely disappointing. Out for a goal kick. 25' Lalrindika Ralte with a decent corner-kick but Arnab Das Sharma rises the highest to collect it. 24' CORNER! East Bengal gets another corner after Monotosh's clearance clips his leg after hitting Laldanmawia. 22' And now, East Bengal are trying to slow things down as Gokulam FC have the control of the game. 21' SAVE! Marcus Joseph Jr. is one on one with the goalkeeper but Borja Gomez tracks back and narrows down the angle. His shot is parried over the bar by Rakshit Dagar. 20' SAVE! Marcus Joseph Jr. with a venomous grounder from 30-yards out but Rakhsit Dagar collects it after spilling the ball. On the counter, Laldanmawia Ralte's feeble shot is collected by Arnab Das Sharma. 19' SAVE! Rakshit Dagar with an acrobatic save to deny Gokulam FC the lead. From the corner, Andre Ettiene pounced on the melee to take a shot from just inside the six-yard box but Dagar punches it away from point-blank. 17' CORNER! Now, Gokulam FC have a corner. Emmanuel with a shot from outside the box but Borja Perez gets a touch to the ball before it crosses the line. 15' FOUL! Jaime Santos tries to wriggle his way through the center but it strikes Monotosh's hand, though. They have a free-kick in the center of the park but couldn't make the most of it. 13' Monotosh again gets the better of Laldanmawia Ralte in the wings. The ball goes out for a goal-kick. It was expected for East Bengal to pounce on him but it looks like their plans have been thwarted. 12' Gokulam FC are trying to slow down the game by playing string of passes among themselves. East Bengal, on the other hand, are trying to push forward. 10' DEFENDING! Monotosh closes in Laldanmawia and the ball goes out for a goal-kick. Good show from the U-22 player. 7' SHOT! Jaime Santos releases Danmawia on the wings who lays it in the face of goal for Brandon Vanlalremdika. However, he takes a touch or two more to control the ball and passes it to Jaime Santos. The Spaniard takes a shot from outside the box but it sails over. Amazing scenes in Coimbatore as Minerva Punjab take the lead in the 3rd minute.Juan Quero drops a free-kick into the centre from the right and Roland Bilala towers over the Chennai City marker to nod it home.Don't be mistaken, folks!Minerva are not here to 'hand' over the title to Chennai City. They are here to fight and spoil the party! 4' CHANCE! Long ball by Gokulam defenders trying to find Marcus Joseph Jr. but Jhonny Acosta is there to rescue the side. 2' CORNER! Irshad saves the day for Gokulam as East Bengal have a corner. Jaime Santos dribbles his way through the center but Irshad slides in with a last-ditch tackle. Lalrindika Ralte's corner is cleared away by the Gokulam FC defenders. A good start to the game. 1' KICKOFF! Gokulam Kerala FC gets the ball rolling through Marcus Joseph Jr.
All the formalities are over as we are underway here at the EMS Stadium in Kozhikode for Gokulam FC vs. East Bengal in the final round of the Hero I-League! The teams are out of the tunnel and East Bengal are wearing their away white colors with stripes of red and gold embellished. Gokulam FC, on the other hand, are wearing their traditional browns. Breaking News! Roberto Eslava will be missing the game for Chennai City FC. Huge news for East Bengal fans as their task has become easier now. Do keep a tab on the Chennai City FC vs. Minerva Punjab match center to get all the updates. Remember, East Bengal can only win the elusive I-League title if they win the match and Chennai City FC draw or lose theirs. East Bengal formation: The Red and Golds are expected to line-up in a 4-2-3-1 formation with Enrique Esqueda operating as False No.9 to help out the midfield. Laldanmawia Ralte and Brandon Vanlalremdika will be exploiting the wings whereas Jaime Santos Colado should be making a nuisance by causing havoc in the hole. Kassim Aidara and Lalrindika Ralte will be the two holding defensive midfielders whereas the quartet of Borja Gomez Perez, Jhonny Acosta, Manoj Mohammad, and Lalram Chullova should form a solid rock in the back. I-League Updates: Real Kashmir have picked up a 3-2 win over NEROCA, which helps them to have with 36 points from 19 matches. They have a game against Minerva Punjab, remember. Churchill Brothers, on the other hand, lost their match against Aizawl FC 2-1, thereby finishing with 34 points from 20 matches. As a result, Real Kashmir FC are sure to finish third on the table whereas Churchill Brothers fourth. Aizawl FC will finish above Indian Arrows in the seventh position whereas NEROCA are grounded to the sixth spot. Gokulam Kerala FC: Arnab Das Sharma (GK), Monotosh Chakladar, Daniel Addo (c), Mohammad Irshad, Andre Etienne, Fabien Vorbe, Arjun Jayaraj, H Lalmuankima, Imran Khan, Elijogu Emmanuel, Marcus Joseph Jr.
Hello and welcome to the live coverage of the I-League live commentary of the Gokulam Kerala FC vs. East Bengal FC match. This is Abhishek Kundu, and the line-ups should be out in any moment. East Bengal fans are pleading to Ranjit Bajaj so that Minerva Punjab can defeat Chennai City FC! Since the Red and Golds' title chances depend on Minerva Punjab getting a positive result against Chennai City FC, the fans have gone to extreme lengths to motivate Minerva owner Ranjit Bajaj. One such East Bengal fan even told him that if Minerva defeat Chennai City FC and East Bengal FC win the match and the title, he would name his unborn child Ranjit! Now, that's what you call a crazy football fan. Gokulam Kerala has arranged free entry passes for all the traveling Red and Gold fans. Moreover, East Bengal has also arranged a giant screening in their club ground for the fans who are staying back in Kolkata. Gokulam Kerala's only threat- Marcus Joseph Jr.
Trinidad and Tobago international forward Marcus Joseph Jr. is in splendid form heading into the encounter. He has scored six goals and bagged one assist in eight matches since being signed in the winter transfer window. 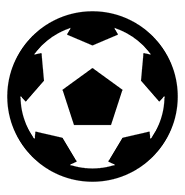 Only Real Kashmir FC and Minerva Punjab, the two sides who have conceded the least number of goals in the tournament, have been able to contain his threat. In all the other six matches, he has weaved his way into finding the back of the net or helping someone else achieve that. Borja Gomez Perez and Johnny Acosta should be on their toes to prevent him from creating any goalscoring opportunity or scoring one. East Bengal's playing XI comprises of past I-League winners! It has been very typical for East Bengal to rope in former champions onto their side and expect them to win the title. Sadly, they haven't the I-League trophy to gloat about. Against Gokulam FC, expect East Bengal to include the I-League 2017-18 champions, Rakshit Dagar, Kasim Aidara, and Kamalpreet Singh, and the I-League 2016-17 champions, Laldanmawia Ralte, Brandon Vanlalremdika, and Lalram Chullova in the starting lineup. Will the Red and Golds' transfer tactic finally bear fruits? We will know the answer at 07:00 p.m. IST. What happened the last time these two sides met? East Bengal walked away as 3-1 winners! Brandon Vanlalremdika opened the floodgates in the fourth minute before Jobby Justin doubled the lead ten minutes later. Christian Sabah did pull one back in the 57th minute but Lalram Chullova restored the two goal cushion in the 82nd minute. There will be no Christian Sabah and Jobby Justin in this fixture but expect a flurry of goals to come from both the sides through Enrique Esqueda and Marcus Joseph Jr.
East Bengal on an eight match undefeated run! East Bengal are undefeated in their past eight matches, with the two successive draws against Churchill Brothers and Aizawl FC being the only dent in their resume. Their last loss came against Chennai City FC on 14th January and since then, the team has only grown strong. Will Gokulam FC end their undefeated run and crash their title hopes? Only time will tell. U-22 worries for Gokulam FC! Gokulam Kerala FC's two players Mehtab Singh and Wungngayam Muirang will not be playing as they are in the India U-23 team, who will be squaring off against Qatar on 11th February. The Malabarians usually deploy an Indian U-22 center back to accompany Daniel Addo in the heart of the defense. Now that both Mehtab and Wungngayam are unavailable, Gokulam FC will have to find someone else. Jishnu Balakrishnan and Monotosh Chakladar are two U-22 center backs Gokulam FC have in their ranks but, they aren't a regular figure. Expect East Bengal to exploit this weakness and pick up the victory and perhaps the title! East Bengal has managed to keep themselves alive in the I-League title race but to clinch the trophy they will require more than just a victory over Gokulam FC. They also need to pray that Chennai City FC drop points against Minerva Punjab in the other encounter, which will be held side-by-side. This is because East Bengal have 39 points from 19 games whereas Chennai City FC have 40 points after playing the same number of matches. The Coimbatore-based side have won both their encounters against EB and hence, hold the edge in the head-to-head rivalry. So, even if East Bengal draw their match against Gokulam Kerala and Chennai City FC lose theirs against Minerva Punjab, the Red and Golds would be unable to walk away with the title. East Bengal's strength lies in their attacking trio of Laldanmawia Ralte, Enrique Esqueda, and Jaime Santos. The combination of the Indian, Mexican and Spaniard has yielded 18 goals so far in the competition. Apart from that, Gokulam FC need to be wary about Lalrindika Ralte's set-piece deliveries as the captain has produced 8 assists and 1 goal in 19 matches. Gokulam FC are one of those sides who like to splurge their money on the transfer market. They didn't deviate from the track in this season either as they roped in five new foreigners in the winter transfer window. However, apart from Marcus Joseph Jr, none of the others have clicked. The Trinidad and Tobago international is the only threat East Bengal need to be wary of. East Bengal also have one of the strongest defensive setup in the Hero I-League, which comprises of World Cupper Johnny Acosta and former La Liga player Borja Gomez Perez. Even Salam Ranjan Singh, who played for India in the 2019 AFC Asian Cup, has to be content by making appearances off the bench. Kasim Aidara makes a strong block just in front of the center-backs whereas Lalram Chullova and Kamalpreet Singh are experts in guarding the wings. All said and done, East Bengal is a club that has historically faltered in the business end of the tournament. So, don't be surprised if Gokulam Kerala FC causes an upset. When and where to watch: The Live Steaming of the Gokulam Kerala v East Bengal match will be made available on Hotstar. The TV Telecast is on Star Sports 1, HD1 and Bangla 1. The Kick-off is at 5 pm IST from the EMS Corporation Stadium in Kozhikode (Calicut).